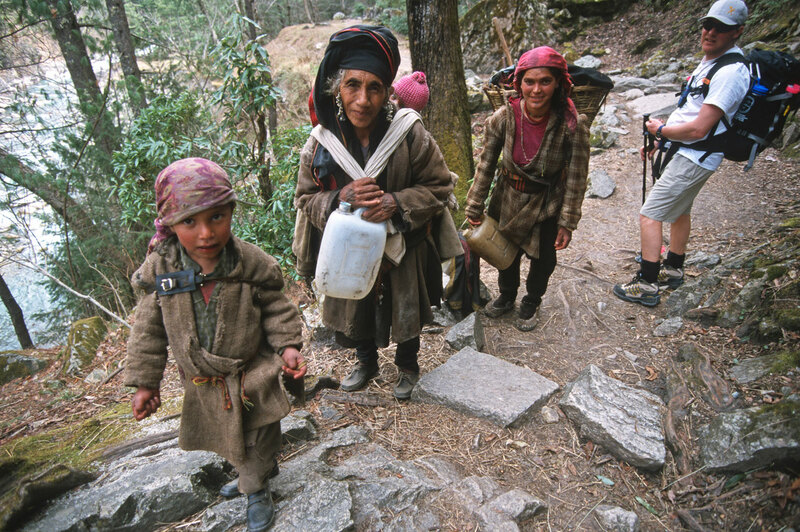 Open smiles, smoldering fires, peeled-off rupees, wild sledding, frontier bureaucracy, woven wool & the Garhwal Himalaya. 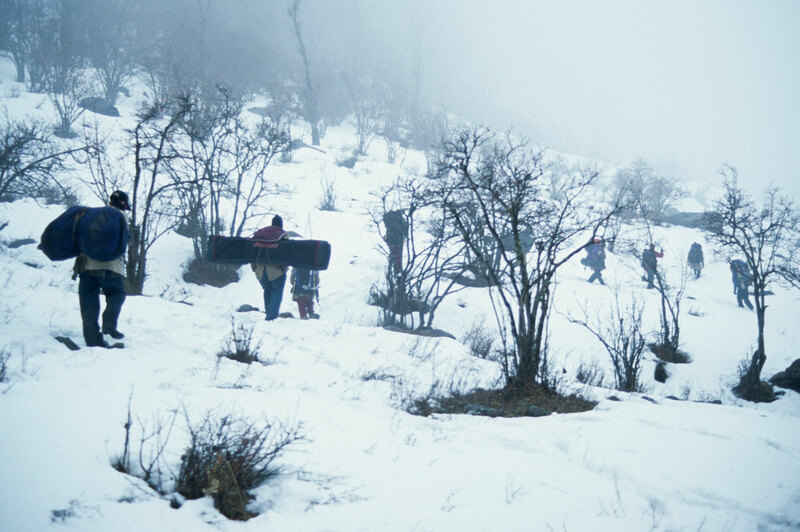 N orthern India, spring of 1998: A team of Americans—three skiers and two snowboarders—ventured into the snowy Himalayas to observe the source of the Yamuna River. 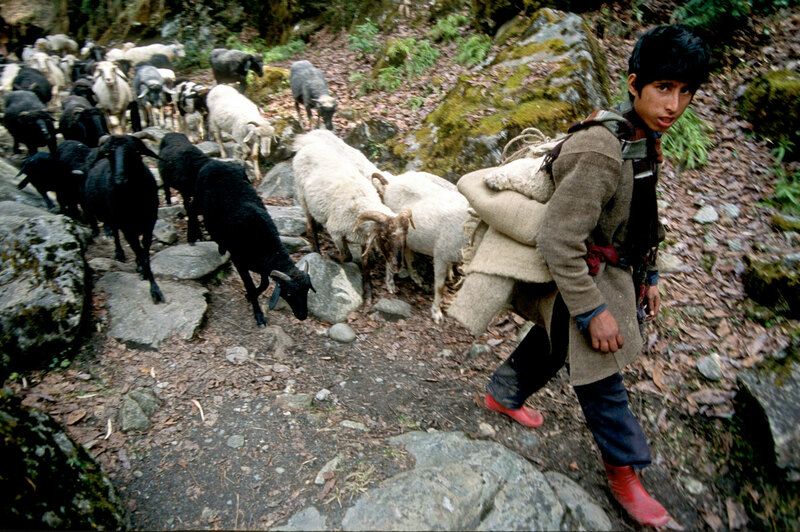 With porters, the men walked among the Garhwal hill folk out gathering wood and tending sheep. 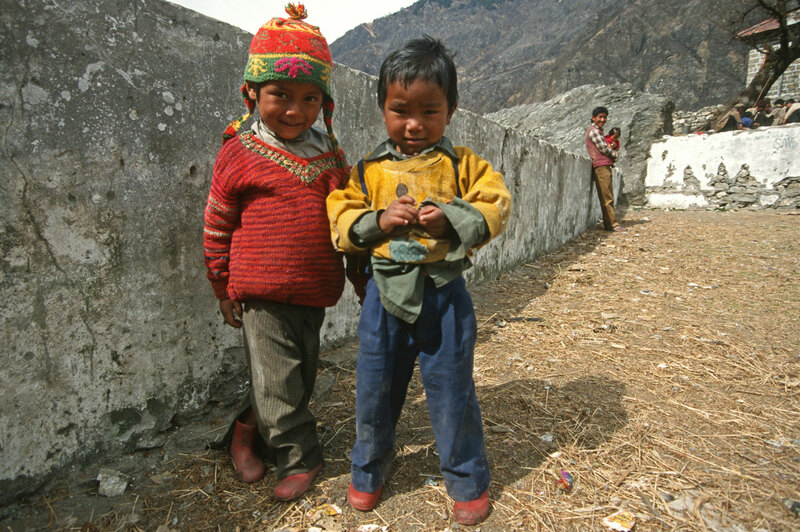 Gentle people with open smiles, curious and with eager eyes, their uppermost hamlet clung to the mountainside, the heavy timber and slate dwellings terraced above the steeply falling river. 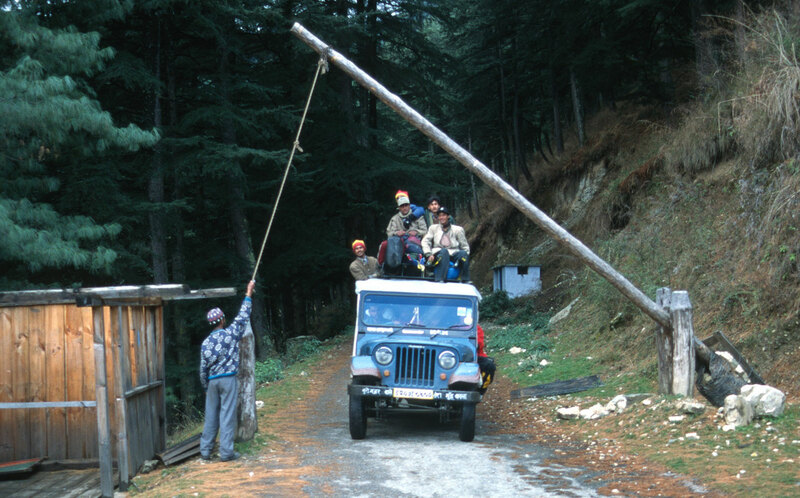 The journey began with a half-day jeep ride over a rough road folded into a thousand switchbacks. On mud, dirt and occasionally asphalt, all bumpy, the caravan cut across the foothills, steering rigs higher into the thickening forests. A guardhouse appeared, the road barricaded. 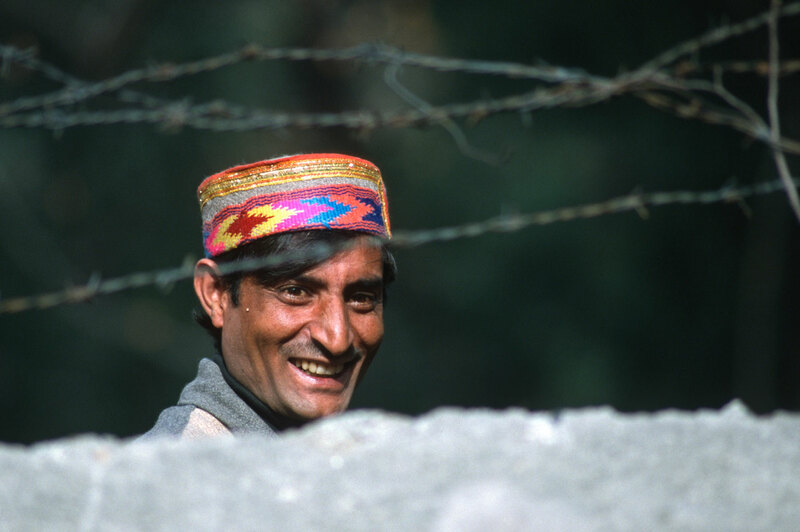 The team leaders—an Indian government official and the lead American (whose first name, Porter, mirrored the load carriers’ job title, causing endless levity)—produced the required documents to proceed into the Holy Kingdom. The guards, however, detained them for more than an hour, insisting that more currency change hands to satisfy the requirements of frontier bureaucracy. 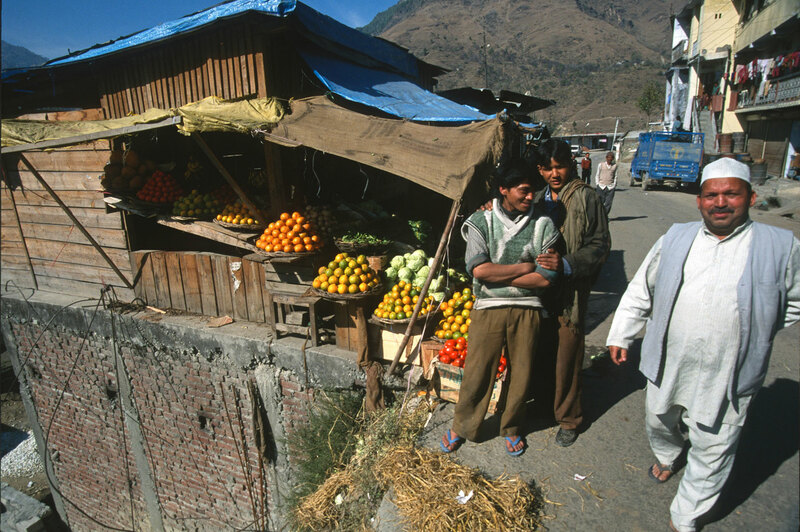 After adequate haggling and a pile of peeled-off rupees, the gate at last lifted. 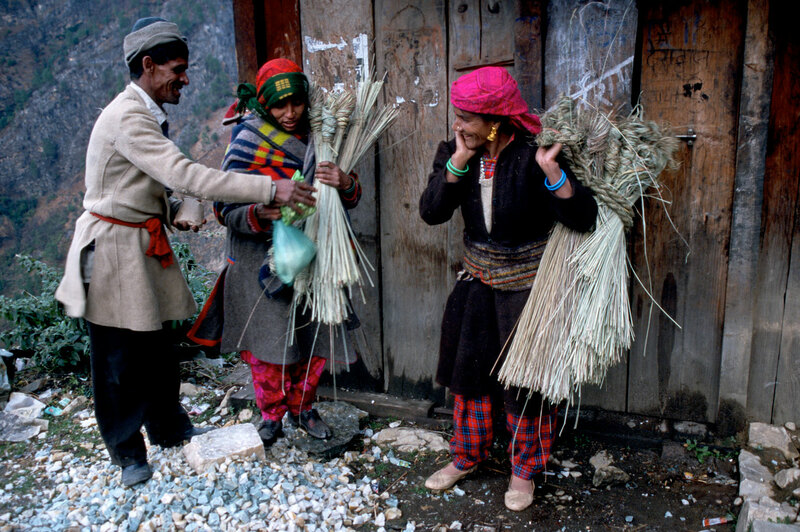 They drove up-canyon, passing through small villages inhabited by amicable locals dressed in colorful woven wool. At the road terminus, a path wandered through a mountain cleavage split by a coursing opal river. 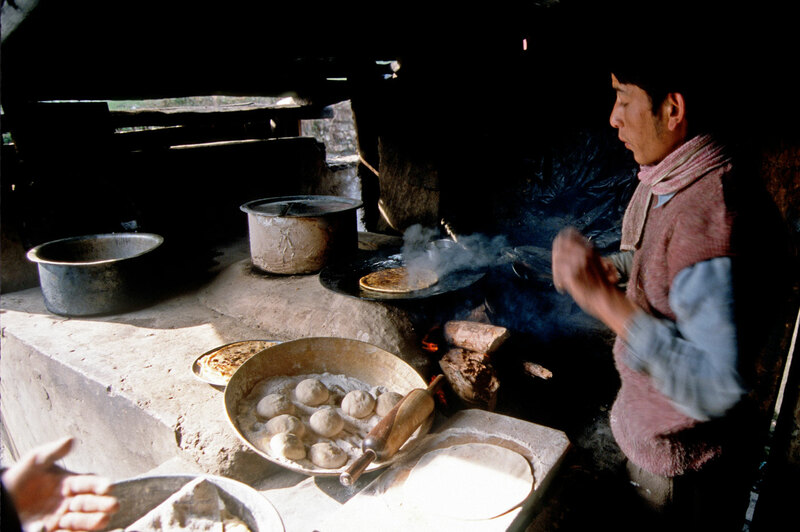 On the three-day trek into snow country, the porters stopped daily for lunch and made camp at dinner. Gathering around a dry tree base, they set the dead snags alight with smoldering fires to bake bread and warm themselves during the long freezing nights. 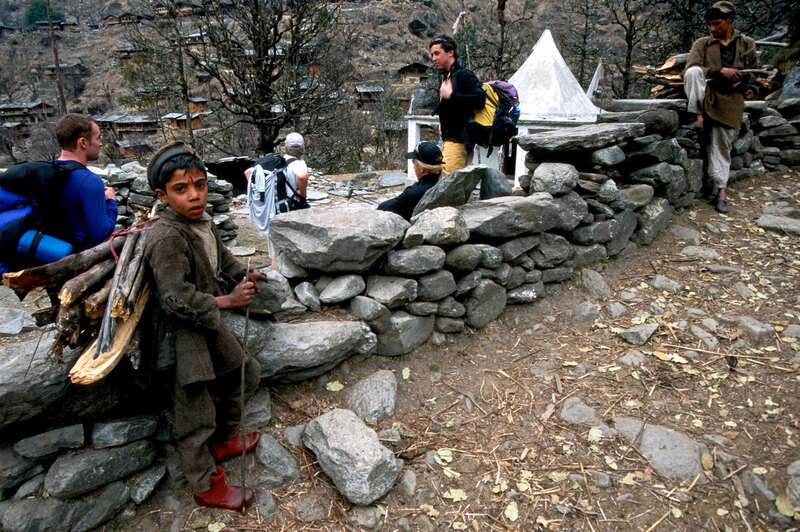 They slept under thin blankets, not begrudging the Americans’ comfortable nylon tents, gas stoves and hot freeze-dried meals. The team set up high camp on snow near an open pond flanked by low hills. In the distance, lofty peaks razed the horizon. Skis and splitboards unpacked, the porters were drawn from their adjacent camp in the birchwood to tussle for dibs on these strange new toys. 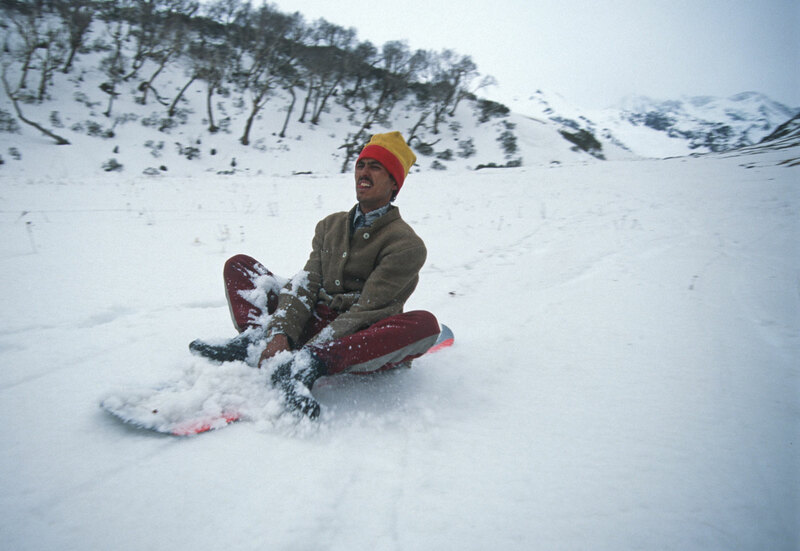 Wild sledding ensued. The afternoon passed with lightheartedness among the people in this heavenly setting. 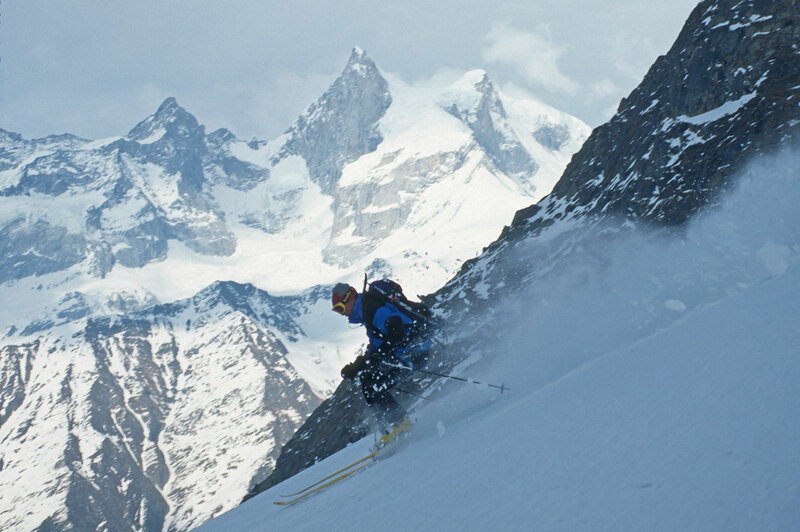 The following day, skins attached, the five men skied into the alpine zone. 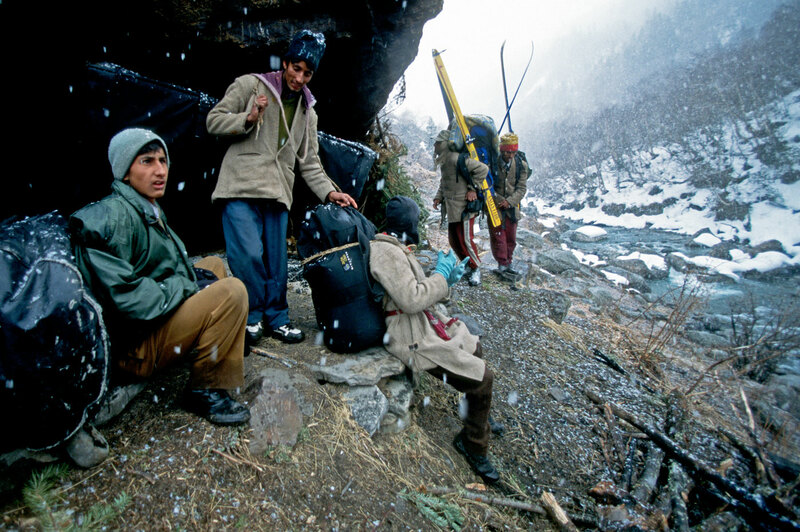 A short distance from camp, a steep, alder-littered headwall posed a challenge. Skis removed, the group booted up the most difficult sections. 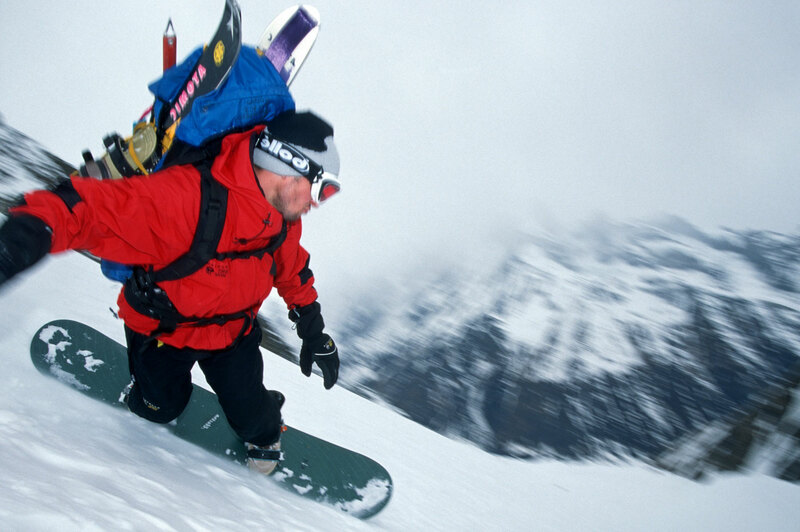 The pitch eased, allowing them to ski up the broad canyon, where altimeters read 14,000 feet. 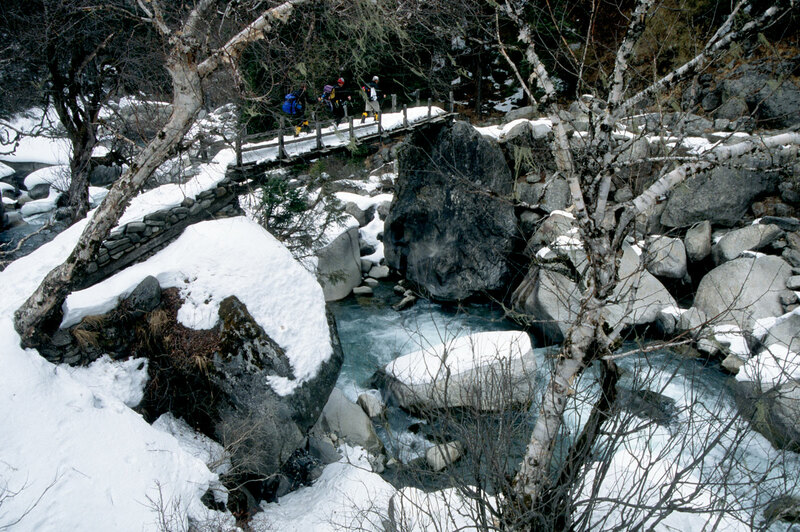 Skins stripped off, the men skied and snowboarded back to camp, feeling strong. After a rest day they headed out early, aiming for the holy waters’ roots. 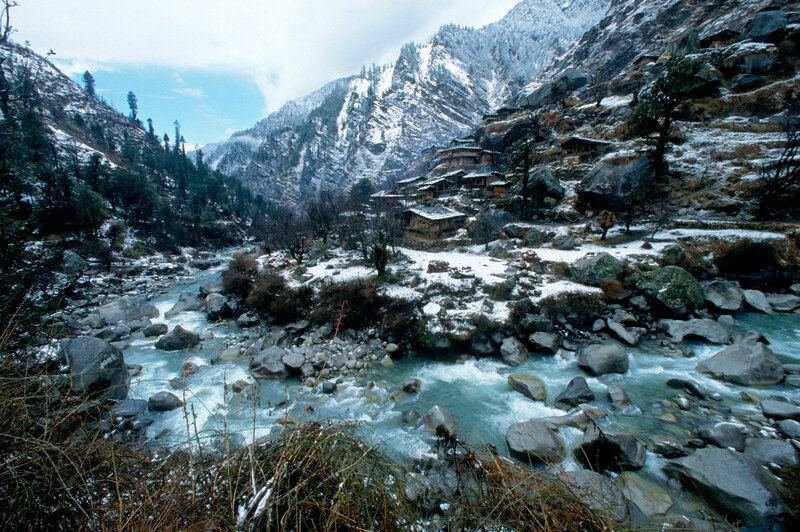 The team reached the 15,000-foot Yamunotri Pass and there it was: a dripping snow cornice that feeds the Yamuna, second-biggest and -holiest river in India after the Ganges. 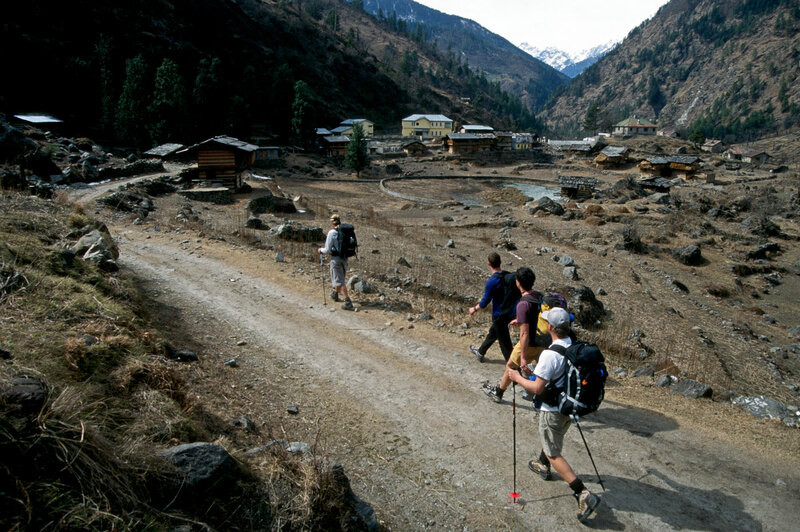 The roof of the Garhwal Himalaya spanned the horizon.